From a consumer’s point of view, it can often appear that products simply appear on the shelves in our shops. But the reality is that everything that we buy is made somewhere in a more or less complicated process. 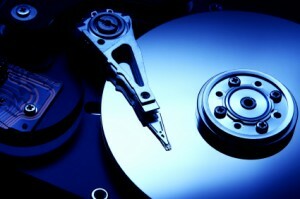 For Blu-ray disc manufacturing, this process is long and tricky and must be done by state of the art machines. On the surface the BD factory is mystery – so let’s satisfy our curiosity and take an in depth look at how these discs are made. All BDs start life as a collection of tiny, clear granules of the plastic polycarbonate. These granules arrive at the factory in trucks and are stored in silos, waiting for the process of Blu-ray disc manufacturing to begin. They are then siphoned into pipes, which take them through the factory to ‘hopper’s which measure out a certain number of granules and melt them down, sending them to the moulding machine. The moulding machine then compresses the liquified polycarbonate into a disc. The mould for the machine is created from a glass master copy of the first layer of data data to be stored on the BD so not only does this machine create the basic shape of the disc, but it also punches the first layer of data into it. 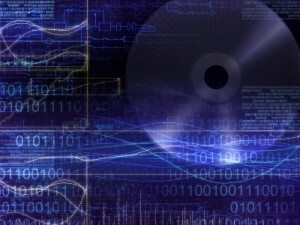 The data takes the form of ‘bumps’ or positive and negative indentations on the surface of the disc, which will later be covered for protection, and then read by the ‘blue’ BD laser. Moved by a robotic arm, the disc is now ready for the next stage in Blu-ray manufacturing. The disc is then coated in a layer of silver. This layer is miniscule – only 90 angstroms thick (and an angstrom is only 100 millionths of a centimetre!) The layer is created by a process called sputtering. In this case, ‘sputtering’ involves hundreds of thousands of atoms of silver being bombarded. The particles of metal are ‘energised’ or made magnetic so that they will stick to the surface they are applied to. In Sony Blue-ray disc manufacturing plant, their sputtering machine has a magnetic field so strong that it affects pacemakers that are brought nearby! The disc is then coated in a layer of special UV resin, which is hardened by being exposed to a special kind of light. Then, a second layer of data is added if needed and the disc is given another UV resin coating and a final protective layer. But this is not then end of the Blu-ray disc manufacturing process: Half the energy goes into making sure the product is reliable. The discs are machine-checked for any sign of scratching or bubbling between the layers before being scanned and checked for playback integrity. And what would a disc be without its artwork? The discs then have to be loaded onto spools to go to the printing machines, which vary in technique according to the factory. Finally, the BDs find their way to the assembly line where they are clothed in their cases, with any inserts and covers the designer has chosen. So that is how Blu-ray discs are manufactured! They don’t just magically appear, but are sent through a complex and highly scientific process before arriving on the shelves or our stores! Posted in History, New Technology | Comments Off on How are BD-ROMs manufactured? BD Live – Alive or Dead? BD Live - how alive is it? The world of technology is constantly attempting to develop, and the world of disc manufacturing is no different. After the war between the HD formats (a battle decidedly won by Blu-Ray discs over HD DVD), manufacturers began to press the concept of BD-Live. But what is BD-Live? Well, despite its new buzzword status, it is actually quite difficult to pin any industry officials down on what in fact ‘BD-Live’ entails. The best summing up can be that it is Blu-Ray discs connected to the internet for extra features. 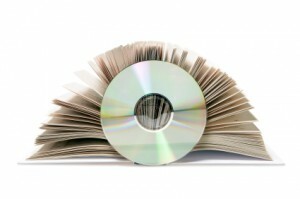 It requires back-end technologies which allow the disc to access high quality content from the internet. This content was originally intended to be apps such as being able to chat to friends during a film, being able to access websites of products featured in a film and to even buy those products on the spot, from the comfort of your own couch. Let’s pass over what this means for the ensuing increased laziness of mankind and focus instead on what the technology has so far been used for. Mainly, it is used as a promotional tool for the studios behind the film, giving links to the studio’s website through the Blu-Ray disc. However, usually these websites do not allow any further access to the internet, keeping the user in that companies ‘playground’. Many of these websites lack original, entertaining data and do not keep the user enthralled. Aside from access to these sites, BD-Live has also so far been used for material such as one gets as extra features on DVD. And yet the potential for BD-Live is so much greater than this: It could, in the long run, grant full web access, allow HD downloadable videos, have killer apps and constantly updated new information about the film. It has even been suggested that, for instance, if you were to buy a disc about a band, you could insert the disc and see some of their gigs live on the nights that they played. The sheer amount of work and resources that would have to go into an app like this aside, it would be a great capability to have on a Blu-ray disc. Add to this the potential BD-Live has for communication – internet chat, text messaging and phone calls – and you have yourself an amazing application. So why have the industry been so slow to start fulfilling this potential? Firstly, there are several unanswered questions about how exactly BD-Live will work cross-continent: How exactly will people be able to communicate around the world with the regional coding Blu-ray discs have been programmed with? And, with different BD-Live (that is basically internet-capable) players having different programming and capacities, there is no guarantee that all consumers will be able to access the same amount of data. Currently, the difference in downloading time can vary from one player downloading one set of data in ten seconds, to another downloading the same set in ten minutes! Creating programs that only a small percent of the market will be able to use does not seem to provide enough impetus to develop the technology further. From a film-makers point of view, as industry’s Van Ling pointed out, having someone be encouraged to talk through a film that you have made is, frankly, insulting, so the communication side of BD-Live is being stunted from the film-maker’s quarter. To add to all these problems, many consumers are baffled as to why they need BD-Live when their computers and mobile-phones can serve the same purposes with less fuss and cost. BD-Live needs to develop something new and different which cannot be found simply on the web or through your phone or computer, only on a Blu-ray disc. What it is important to remember, however, is that these are all simply teething problems: BD-Live is new and no new technology arrives on the market problem-free. All this technology needs is consumer support and eventually the programming will improve. Let’s face it, if it eventually fulfills its potential, it will be worth supporting! Posted in New Technology | Comments Off on BD Live – Alive or Dead? You are currently browsing the Duplication Centre Resource Centre blog archives for September, 2010.